A recent article at the blog Customers are Always pointed out the huge difference between a customers having loyalty cards and customers being loyal to stores. Just because a customer has a loyalty card doesn’t mean that they will continually be loyal to this store. To ensure that a customer does stay loyal to your store, you must give them customer service that they want to come back to your store for. What do you think? Does great customer service automatically guarantee customer loyalty? We’d like to introduce you to our newest guest contributor, Joanna Brandi. She’ll be co-posting with the Customers 1st blog. Here is her most recent post from her Customer Care Goddess blog. I’m headed for the airport. Again. I can’t say I love travel, but like many, I make the best of it. On the trip home from Indiana last week I was stuck – literally – in the window seat between a very large (and angry) man next to me and the one in front of me who reclined himself into my lap. I guess when Delta put in those few extra rows (and took away leg room) they forgot to change the pitch of the reclining seat. Oh the joy of travel! I thought I might have a glass of wine to celebrate the success of the workshop I’d just delivered, but I was pinned in so tightly I couldn’t get my arm to the floor to reach my purse. Cranberry juice please! The man next to me vibed negativity. My guess he was mad because he was stuck in the middle and spread his unhappiness whether he opened his mouth or not. The flight attendant wasn’t too pleasant and that made it worse, but what came first? When he called her “toots” I chose to close my eyes and visualize how beautiful the beach would be at sunrise the next day. Breathe deeply. I didn’t realize until I got off the plane that despite my best efforts, I’d been holding my breath. Getting off the plane never felt so good. When stuck in situations like that I do think people should make every effort to be as pleasant as possible. No one likes flying any more, why make it worse? Web 2.0 is one of the latest trends in business and is changing the way companies, and consumers are interacting with one another. 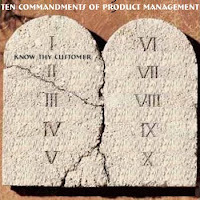 Rules that many thought set in stone have become unraveled and it is important for organizations to keep up with the changing times. It is especially important for organizations to understand the nature of online customer communities and how it affects the company and client relationship. This blog post from ZDNet highlights some of the best practices for online customer communities. Are there any other points that you would highlight? Has your organization been implementing these tips? In a recent post at Customers Rock! Becky Carroll raises a question every shopper has had at one time or another. Why aren’t items for season carried during the season in which they are needed? Becky and her son had to drive around 50 miles trying to find a bathing suit. It’s July, with at least one more month of swimming season. One of the commenters couldn’t find spring jackets in last spring, as they were sold out in December. Retailers are failing to see what their customers need and at what times they need it. Becky thinks it’s important that these stores find a balance between the needs of stocking items that can benefit both the retailer and the customer. Yes, it’s important to create an online community and keep the dialog going, but if customers come into your store and you don’t have the products they need, part of the relationship is lost. What do you think? When I checked another of the companies mentioned by the NY Times article, Southwest Air, I noticed that on their twitter page they have 2,088 followers. Apparently, they are also not only relying on people talking back to them, but also going out and actively seeking people who have twitterd about them. In fact this blog post recounts one individual’s account of how Southwest Air proactively responded to their twitter comments rather than simply relying on an inbound call center. Whole Foods Market is going one step further and rewarding consumers who twitter about them by having a drawing where once a week one lucky individual will receive a $25 Whole Foods Market Card as announced in their company blog. With more and more companies starting to use social media as not just a marketing tool, but as another step in the evolution of customer service it will be interesting to see how many other roles such as “digital care manager” will be created. Also, it will be interesting to see what percentage of companies migrate away from the use of call centers and begin instead to capitalize on the social media revolution. Are your organizations taking these extra steps? Do you think that soon this will be the norm in customer service, and what the industry standard will become? Whether you’re talking to a company’s representative on the phone or online, there are two quick ways to alienate a customer. Laura Bergells details these two approaches that your company’s reps should watch out for when they communicate with customers in her latest post on Internet Marketing in the Midwest. Laura gives an example of two companies that she has had a long customer relationship with which she will soon break off. One company apologizes constantly in person, on the phone, and in “canned letters’. The apologies seem scripted, and thus can frustrate customers even more when their problems are not being solved. The next example involves a company who apologizes for none of its faults, and makes the customer feel like an idiot. The representatives for Company B treated Laura with absolutely no respect, and made no effort to go out of there way to provide superior service. Not only was the rep rude, but they did hold Laura’s scheduled appointment. These are two examples of customer service approaches that your company should never follow. As Laura mentions, customer service is a huge part of marketing, and frustrated bloggers can spread word fast all over social media. Businesses should empower its representatives to use social skills and reasoning to solve problems and communicate effectively with customers, instead of following a script or being unapologetic. Last night, on World News Tonight with Charles Gipson, a story about Twitter aired. Read the news report here. Tracey Louise Wallace worked from home, and woke up Monday morning to no cable, internet or phone. After speaking with customer service representatives at Comcast, she was informed they’d fix her services Thursday. After the experience, she twittered. Comcast has a team that sorts through social media sites looking for complaints. Frank Eliason, leader of that team, found her complaint and began to track her down. After finding her Twitter page, work webpage, and business partner, he was able to contact Tracey directly. Her services were back up by 5:00 Monday evening. Customer care is growing as we see the internet grow in old ways. It’s no longer enough to expect customers to sit for thirty minutes on hold before they speak with a customer care representative. Comcast is just one of the many companies monitoring what’s being said about them on the internet. Is your company doing this? How are you seeing this affect your customer service? With the North American Conference On Customer Service approaching, we would like to begin to introduce you to the speakers we will have this year at our event. This year, NACCM will take place from November 16 – 19, 2008 in Anaheim, California at the Disneyland Hotel. This week, we’d like to introduce you to Joe Torre. Joe Torre is currently the manager of the LA Dodgers, and is also one of the winningest coaches in baseball history. Joe knows the importance of managing people. Torre began his baseball career in 1960 as an amateur free agent with the Boston Braves. His 1971 National League MVP award is overshadowed by the remarkable time he spent with the New York Yankees, going to twelve consecutive post seasons with them, winning his first championship in 1996. The team also won seven World Series and ten pennants during his time. Torre won the manager of the year award in 1998 for his outstanding season with the Yankees. Torre has created the Safe at Home Foundation in 2002 with his wife, their goal being to educating to end the cycle of domestic violence and save lives. The foundation now focuses on educating children in school about domestic violence. The organization has ten funded programs; all called Margaret’s Place throughout New York City and Westchester County in New York State. Joe has co-authored two books: Chasing My Dream: My Lifelong Journey to the World Series and Joe Torre’s Ground Rules for Winners: Twelve Keys to Managing Team Players. Joe Torre contributed this quote to an article he wrote for Business Week. He also insists that as a member of any competitive team, whether it be baseball or your customer service division, you must be ready to play at all times. We invite you to come see Joe Torre at NACCM as he presents his keynote speech on Tuesday, November 18th, Ground rules for winners: Effectively managing teams, setbacks and success both in business and in life. In a blog post at Service Untitled, they discussed the importance of your customers feeling satisfied with their customer service representatives when on phone calls. Most often, customers feel they’re going to call the call center and the representative is not going to know what their problem is. Customers are more likely to have a pleasant experience if they feel that when on a phone call, the customer service representative knows their problem and can fix it. So how do you give your customers confidence in your CSRs? The representatives should tell the customer calling that they can help them resolve the problem today. Letting a customer know that the representative is happy to be there and willing to help solve the problem makes all the difference in a satisfied customer at the end of a call. Do you thank your customers after every customer service call, or after any interaction? Today’s post on The Customer Service Helper discusses how although companies should be thanking customers after every interaction whether it be in person, on the phone, or online, it isn’t necessarily doing it. Also, being thankful for a customer’s business and interest in the company should be automatic. Agents, employees, and managers should not feel forced to utter the words “thank you”; it should be genuine. Employees shouldn’t be taught to say thank you, it should come as second nature. Is your business thanking its customers? Let’s consider a simple loyalty lifecycle: (1) Engage customers, (2) build loyalty, (3) reinforce loyal activities. Downturns are the worst time for (1) and (2) because there are fewer customers. It’s the time to really hone in on (3). So if you just start thinking about loyalty during a downturn, it’s too late. What is your view on customer loyalty programs? Do you think that corporations have not been responsible enough in terms of cultivating consumer loyalty when they don’t have a pressing need for it? Because, for the first time ever, you can stop fires before they start. Companies have long been investing a lot of money in PR firms to investigate buzz around their products and/or services. Now, buzz can be instantly tracked on the web through forums, blogs, and other social sites. It's easy. David mentions Google Alerts, which is extremely easy to use. Google Reader and other readers of this sort can easily be customized to bring you up-to-date information on your favorite blogs. It's flattering. It feels good to have a company write or express opinions on your product. Even if there is negative feedback, just respond politely and you’ll be surprised at the reaction you’ll get. It's a better use of your money than PR or advertising. While you shouldn’t altogether eliminate PR and advertising on the web, social media can replace many of those advertising dollars. A little goes a long way. Instead of the traditional one-on-one outreach, responding to a blog post or forum thread for example can touch many people who view it. Has your business adopted new methods in its customer service approach to adapt to the changing demographic? According to this article at Market Watch, LL Bean has given customers a way to rate their products and write their opinions thanks to Bazaar Voice. The NRF Foundation/American Express Customer Service Survey rated LL Bean #1 for customer service recently, and the company has shown that they are loyal to their customers. To make customers aware of this feature, they feature a section on their front page encouraging customers to share their opinions. This feature has been available since April 2008, and LL Bean has plans in the future to send emails out to customers who have purchased products to they can remind customers to write a review for the website. They also plan to begin including reviews in their catalogs. The system is working; as LL Bean saw their loyal customers write over 13,000 reviews in five days after an email was sent out. Their eager, loyal customers are ready to give opinions on their products. Bazaar Voice will continue to help LL Bean use these customer reviews in order to capitalize the information derived from the user generated content. Courtesy. Whether on the phone or in person, politeness goes a long way. Make sure that all customer service representatives interact with customers with the utmost respect so that customers will experience more satisfaction. Apology. After a bad experience or service failure for example, always apologize to the customer. Apologizing conveys politeness and empathy which will restore customer confidence. Justification. Provide an explanation of why things went wrong. Even when problems are solved, most customers want to know why the problem existed in the first place. This process helps re-establish trust. Resolution. Resolve the customer’s issue. When problems aren’t fixed, customers are left hanging, and so they begin to lose trust in the organization. Immediateness. The time it takes to resolve the problem also impacts customer loyalty. Improve on speedy responses and recoveries, and you’ll see an increase in customer satisfaction. Compensation. After a bad experience or service failure, giving discounts, refunds, free merchandise, and coupons is a good way to restore the balance in customer experience. Surprise & Delight. Go beyond the problem resolution and provide personalized service. Customers will always remember a good customer service experience. Following these 7 golden rules and you will surely see an increase in customer satisfaction, loyalty, and confidence! One of the best ways to improve customer service as a whole is to listen to what stories customers are telling about your company, whether it be good or bad. Becky Carroll reminds us in this post on Customers Rock! that a satisfied customer will recommend a company’s product or service to 3 people, while an unhappy customer will tell 3000 people (clearly exaggerating, but you get the drift). Customer reviews are crucial to the survival of businesses. When was the last time you checked out forums, blogs, discussion boards, and other social media to see what customers are saying about your company? We’ve discussed in a previous post how the use of the social media site Twitter could be used to make customer service proactive instead of reactive, but I’d like to see other examples of how companies have improved their services by scouring the web for consumer insights, complaints, and recommendations. Traditional marketing methods are decreasing as more and more consumers are turning to customer reviews, forums, blogs, and discussion boards to reach out to peers for help and advice on new products and services. I came across this post this morning from The Copywriter’s Crucible which points out that Customer Service is the new Marketing. Do I believe this statement…sure I do. Consumers do not want to be pitched sales messages, instead they want insightful advice and a place where they can easily access the information they need. While we can not altogether forget about traditional marketing methods like sponsorships, advertisements, events, and PR, we must begin to turn to new media to allow consumers to place trust in the advice of their peers. In a recent post by Ron Shelvin, he states his point on why customer loyalty’s landscape is changing. Just as everything else is undergoing major change, for example, the advertising industry and their struggle with television ads, so is the customer loyalty landscape. Shelvin believes the two key factors that are responsible for this evolution in customer loyalty are: social change and globalization. Companies today want us to buy their products, and remain loyal to them. The landscape of their customer base has transformed into an educated public with needs that can be serviced from anywhere on the globe thanks to the internet. With their high levels of education, and their high expectations of service, companies focused on loyalty need to have their customers constantly in mind. As a result when customers are unpleased by service, they show what power they control: their business. Customer loyalty may be dwindling in today’s society, but if businesses truly provide for their customers needs, customers will stick with the business that they feel treats them the best. According to this article on the FedEx site, the premier provider of transportation services ranked number one in customer service in the 9th Annual Harris Interactive Reputation Quotient TM (RQ) Survey. FedEx also ranked high in other categories, it ranked number 12 as both a good company to work for and company with good employees. This goes to show us that there is a very strong correlation between employee satisfaction and levels of customer service. Happy employees and those who enjoy working for a company are more likely to give superior customer service than unhappy workers. The article also notes that there is a strong correlation between a company’s overall reputation and the likelihood that a consumer will purchase, invest, or recommend the company’s products and services. One of our media partners for our NACCM Customers 1st event, 1 to 1 Media, discussed the relationship between call centers and customer service on this post from their blog today. These are some of the points that the author noted after discussing ways to achieve success with individuals who worked there. - Managers want to use e-learning modules for training, but are torn about taking agents off the phones to train. - There’s a need for bilingual capabilities, but confusion about how to implement them. - Getting all departments in the enterprise, from R&D to marketing, to give all necessary information to the contact center for agent training purposes. - Department heads and executives need to spend more time in the contact center listening and learning. - Some contact centers are partnering agent training with recruiting. - Daycare workers (college educated moms) and retirees are becoming the hot new workforce in contact centers. - Agents are getting coached about how to hear and manage a lifecycle change on a customer call. In summary, many of these points highlight on the need for improved training, and the importance of integrating the departments in a more cohesive manner. This is imperative for employees at these call centers, since they are often times the main point of contact for consumers. In the new world of Web 2.0, the fine line between marketing and customer service is often blurred. Since 70% of the US and Canadian population use the internet, the internet has become a medium for learning about products as well as letting everyone know their faults. As stated in this post at CMS Wire, companies are having to adjust the way they view social media on the web as a way to provide value and a creative outlet to allow current and future customers a platform for discussion. One bad experience can be posted in a blog, and the world can find out about it through a search on the company. Other forms that customers can hear about experiences: wikis, forums, Digg, Reddit, Technorati, and del.icio.us to name a few. Companies that apply resources to help steer and bolster their brand across the social web create relationships that ultimately pay dividends in the form of customer loyalty and referrals. Relationships are the currency of social media. It’s important to see this new form of customer service. Many companies are overlooking the power of social media as a customer service tool. What’s the best company you’ve seen use Web 2.0 as a way to empower their customers?